The power of persistence can be a powerful thing. Less than a week ago, I posted a letter I had written to BC Ferries. 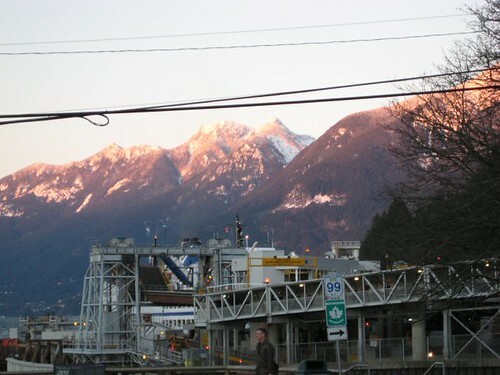 With that post I included a number of photos I recently took while a passenger on the Queen of Coquitlam vessel. Yesterday I was fortunate to have a discussion with someone at BC Ferries’ head office in Victoria. While part of me is glad to have had the conversation and hear that my concerns and suggestions were well received by the corporation, the other part of me still feels a bit discouraged. However, the discussion was mostly fruitful and quite a few points were touched on and addressed. When the first ships of the fleet were built in the 1960s and 1970s, walk-on passengers with pets were almost unheard of. At that time, the designated pet areas were actually designed to be a place to essentially leave your dog while sitting on the passenger decks for the voyage. Therefore, passenger comfort in the pet area was not a consideration while these ships were designed and built. In addition to the welcome reception of my letters, the BC Ferries representative confirmed that all those who received the photos were disgusted by them and that it was unanimous that the conditions were deplorable and unacceptable. I was then informed that the Queen of Coquitlam is scheduled to be pulled from service in the immediate and retrofitted in order to be brought up to an acceptable and civilized standard. These changes will be complete before the summer tourist season begins. Apparently heaters have been installed in the pet areas of most of the older ships. It is anticipated that all older ships will have heaters by the winter. One safety issue I raised with the pet areas on the older ships was that of excessive exhaust and toxic emissions from the vehicles on the vehicle decks. While it was agreed that this concern is of great importance, this health issue still remains unaddressed as no potential remedy seems to have been considered. Another key area that I felt some fantastic progress can and will be made in is that of passenger comfort. While it is important that the pet areas be somewhat “utilitarian” in design for ease of cleaning, vinyl-covered seats are just as easily wiped as seats constructed of metal or wire mesh. Also, my suggestion to install a water fountain (for both humans and pets) and even possibly a vending machine on one of the car decks seemed potentially feasible. It is my understanding that these recommendations are being formally submitted to the corporation for consideration. With regard to one unisex washroom being installed on the vehicle deck, this is apparently not doable due to space constraints. The alternative idea offered is to leave your pet with a fellow passenger or someone you are traveling with. Being that neither of these options are always going to be available or desirable (Jordy is not simply a piece of luggage), a singular washroom stall is an idea that needs to be revisited by the corporation. As mentioned in my letter, it is of paramount concern that announcements cannot be heard while in the pet areas. I am informed that, in the event of an emergency, crew members are designated to retrieve all passengers and dogs in the pet area and bring them to a safe place. BC Ferries does not maintain the same policy as TransLink with regard to pets in public areas. While allergies, food preparation and potentially aggressive dogs are the top concerns by the corporation, I do understand the reason for this policy – within reason. However, that said, I would still strongly encourage the corporation to consider designating a small, strictly quarantined area on one of the passenger decks in which all dogs will be welcome (providing that the dogs are well-behaved). That way, any other passengers who do not wish to be near the pets can avoid them altogether while those traveling with pets can enjoy the same comfort as other passengers. As our society moves closer and closer to going green in every way that we can, more people will be ditching their cars in favour of transit. On any given sailing, more than a handful of dogs can be found on the vehicle decks with their owners. As time passes, I have no doubt we will see this number swell and the need increase. That said, addressing these issues is critical to the functioning of the invaluable ferry system. Overall, I am satisfied with the initial response received from BC Ferries and I am very grateful to the individual at head office who took the time to engage in this discussion with me. I look forward to our follow-up discussion in the coming weeks to track the progress. It is not the intention of BC Ferries to make us feel like “second class citizens,” but I had to admit that feeling that way is somewhat inevitable. However, I also felt that I was heard and that my concerns are being taken quite seriously. If you are a pet owner and one who travels on BC Ferries, please take a moment to send a quick e-mail to the corporation to encourage them and show that you support change for all of us. While I believe there is still a great deal of work and much room for improvement, even the corporation readily admits that this continues to be an evolution. Change doesn’t happen overnight and while these improvements may be gradual, I have faith that we will see more serious attention paid to those traveling on BC Ferries by foot with their fur babies. The dogs are here to stay. wow, go keira. good job. Good to see you were able to finally get in touch with BC Ferries. One thing I noticed missing from your post was any mention of reduced fares for pet owners who are stuck on the car deck for the whole voyage. Was that mentioned by the BC Ferries representative at all? Hopefully that comes up in future discussions with them. Progress is being made even if at this stage it’s just ideas. Good things come from ideas. From their eventual response and subsequently your conversation, I get the feeling that when your e-mail first came in with those photos, they didn’t know what to do or where to begin. However, it’s very hard to evade an issue with a message with images like that for too long. I’m sure it feels good to have finally made contact with the mother ship (get it? I’m so clever) and have these problems on their way to mitigation, whenever and however the way. Well, it’s a pretty good start. At least they are listening. Good on you for seeing this through! I hadn’t thought of these issues, but it’s great that you raised them and got a thoughtful response from BC Ferries. If I were you I’d make contact with Modern Dog magazine in Railtown and see if they’d like to carry the issue forward or have you write it up for them. They’re very community-minded. Yes, sometimes change is slow … but it has to start somewhere. Congratulations on being a catalyst. another quality report by keira-anne. good job! Tremendous. Never underestimate the power of persistence indeed. You got some answers….lets hope they follow through. Good job! I am glad they responded to those horrid pictures. Good for you. Let’s see if improvements actually get made. Seems pets and humans are being confused somewhat. 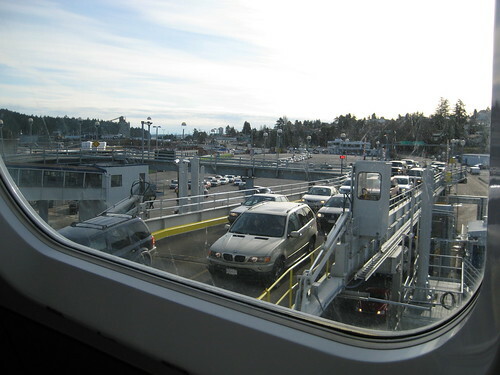 Although I agree that it is very important to cleanup and improve the pet area so that it is safe (and I applaud you for prompting bc ferries to do so), I don’t think dogs really care as much as us humans….and it’s an area for them. Why not just tie the dog up and go to the bathroom and sit in comfort upstairs. I think the dog will deal with it. That is so awesome Keira! I’m so happy that they’ve taken your concerns into consideration and are dealing with the problems with the best of their abilities at this time. Hopefully over the next few months or year they can address each of these issues. As for the car exuast etc… parkades are a confined space and proper ventilation is required by law. Should proper ventilation not be achieved they should take appropriate measures to install proper fans and perform regular scheduled maintenance/cleaning of any of the current fans that may already be in there. While the ferries are older that does not mean anyone has to put up with any unsafe procedures that weren’t initially considered 50 years ago. If you want to put your mind at ease about whether or not the levels of carbon monoxide & carbon dioxide there are particular machines that many construction workers use while working in confined spaces. It will tell you the exact levels of oxygen, carbon monoxide, and carbon dioxide that is in a particular area. Welders typically use it in order to insure their safety. If you would like I can try to find out some of the names and types of equipment that can be used to perform these tests should you feel the need to address them on this. @Brandon – The issue is not necessarily about whether or not dogs care about the circumstances. While I respect your opinion immensely, I find the notion of tying up a dog and leaving it alone to essentially “deal with it” to be preposterous. Dogs are kind, sensitive and intelligent creatures. Very few dogs would be okay being left alone in an unfamiliar place with strange sounds and smells. While not all of us are “dog people,” those of us that are love our dogs wholeheartedly. I can speak on behalf of most dog owners in saying that my dog is my life and the importance of his well-being is paramount to me. In fact, it’s my personal belief that anyone that would leave their dog to fend for itself for a few hours shouldn’t own a dog in the first place. To place any number of dogs in a room such as the one provided without supervision presents a fistful of potential problems. Not only would I be concerned about the dogs scrapping with each other, I also simply do not trust other people who may come by and, heaven forbid, either steal or abuse any of the dogs kept in the area. Keira, I completely agree with your above statement. If I had to travel on the ferries with my dog and had been shown that area, I would have been mortified. Our dog Benji is very sensitive to his surrounding and I can definitely tell you he would not be able to cope in such an area with out one of us there. Nor would any member of my family feel comfortable enough to leave him there alone in those conditions. I’m so glad that you finally got a response from BC Ferries. Hopefully now they can put some plans into action. You will have to keep us updated with what you find as you travel to the island and back over the next year. You know the saying where people say that before you have kids, you should get a dog? Because taking care of a dog really is similar to being responsible for a child. Now, I don’t have a dog. But my brothers do. I have 2 kids. Raising dogs and kids are really the same in some respects. And the disciplining part was so similar to what I was going through with my son (re: potty training, listening) so that it was pretty comical. I’ve never desired a pet for myself, because I know I cannot give them the time, love & attention they deserve. My two kids already keep me on my toes as it is. But having friends and family that have pets…I can see that they are not just “pets”, but “family”. And that is the way it should be. I mean, seriously…would I leave my child alone in some rusty tin room while I went up and had my “me time”? Good to hear you got a response. Let’s hope they actually go through with some of the suggestions. I am curious as to whether or not you have to pay to take a pet on the ferry. If you do not, but demand more services, you may be asked to pay for them. Remember when you could drive your car to the ferry to pick someone up and not have a parking fee demanded? @Garry – I’m curious to know what the rationale is behind charging passengers extra to receive the same basic services because they are traveling with a pet. Without trying to compare apples to oranges, parents aren’t required to pay extra to provide for a play area, arcade etc. for children. That said, why is it that pet owners should be charged extra in order to travel in relative comfort with basic amenities? There is no use asking me to rationalize decisions that I do not have any control over. What I am saying is that there is a tendency to add new fees on almost everything that was once assumed to (logically) be complimentary (or what we should be entitled to). @Garry – No, I agree. That’s one of the biggest problems we as consumers face when the Province decides to sell its essential services and privatize the service. at news1130 604 877 4400 and ask for Jim Goddard. Just in case you’re interested and hadn’t seen it yet, I spotted your name (and link to your original ferry’s post) on News1130 today….